Justin Bieber has been the talk of the town since his memorable 2015 VMAs performance featuring his heartbreaking waterworks, and the dropping of his new music video for "What Do You Mean." Less than a week later, Bieber is going for the gold, and, according to Billboard, "What Do You Mean" is heading for No. 1 on the UK charts. It is clear that Bieber's next album will be one for the books — so who should Bieber collaborate with to ensure more chart success for his upcoming album? Bieber has worked with some chart toppers that musicians only dream of teaming up with. It has helped him strengthen his repertoire over the years, giving some of his most popular songs to date. Who could forget when our possible future president, Kanye West, teamed up with the Biebs to remix "Runaway Love?" Or when mini Twitter philosopher Jaden Smith rapped alongside him for "Never Say Never?" There was also the cute moment when his mentor Usher hopped on "Somebody to Love." or the country and R&B pairing of Bieber and Rascal Flatts for "That Should Be Me." You get the idea. The list goes on and on, adding artists like Big Sean, Nicki Minaj, and Jack U to the mix. All of these being said, here are the next musicians that Bieber should consider adding to his next album. Before you judge me, never say never. Budding superstar Tori Kelly was brought under the wings of Scooter Braun, who we all know for bringing Bieber into our lives in the first place. Not only do the two talented songsters have this in common, but they both got their start on YouTube and have strong fan-bases that support anything they do. If they team up for this new album, it is inevitable that they will create a heartfelt masterpiece. J.B. needs to bring The Weeknd onto his album ASAP; he earned it. I could think of 50 shades of reasons if I needed to. The Weeknd's latest album Beauty Behind The Madness has been all that R&B fans have been talking about all week. "What Do You Mean" has been climbing the charts faster than I can blink. It's simple math. Two lady-killers, plus one song, equals mass mayhem for girls everywhere. Hey, what's up, hello? What do you mean? 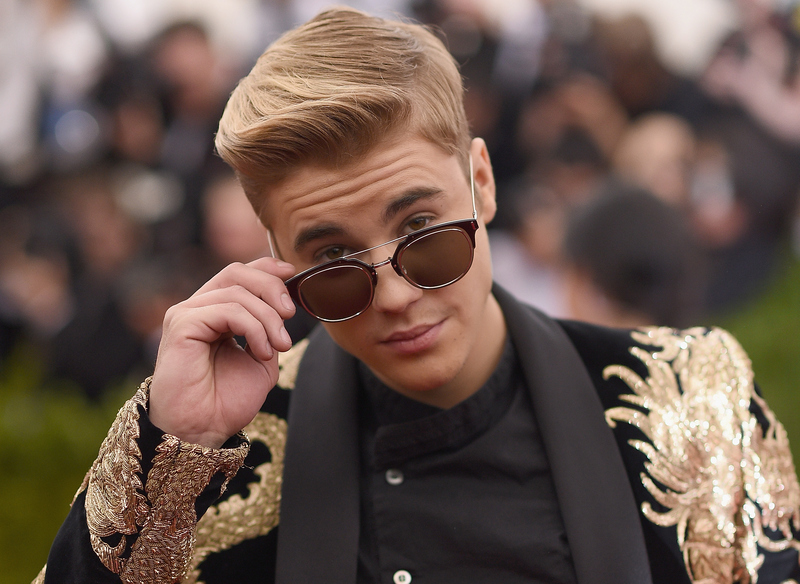 Bieber and Fetty Wap both love to ask us tons of questions that we don't know how to answer. If they teamed up, maybe they would be able to find some answers? Throwback Thursday to J.B.'s very visible crush on Beyoncé. These two are no strangers to the limelight, and collaborating on a song together would have everyone talking. In fact, teaming up with the queen of everything herself would make Justin Bieber the happiest 21-year-old boy on the planet. Bet. While his girlfriend and Bieber might not be the best of friends, the Biebs has proven to work well with DJs. "Where Are U Now" exploded onto the charts this spring and has been there ever since. If he were to bring Calvin Harris onto the album for a dance track, they would both have a huge hit on their hands. You might ask why I teamed our two favorite outspoken rappers together. Well, it's for that reason exactly. Bieber is no stranger to the haters, and these two know how to call them out like it is nobody's business. Throw it back to Drake's ultimate Meek Mill diss tracks, or Minaj's epic "what's good" to Miley Cyrus on the VMAs stage. If there is any pair who could help J.B. give the ultimate salute to his doubters on his new album, it is these two. If Bieber works with any or all of these people on his next album, it's guaranteed to be a hit. Then again, it's not as if he's a stranger to hits, am I right?